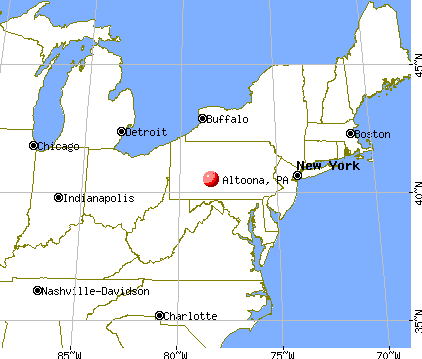 Altoona is called the "Mountain City." Having a population of 46,320, it is a rural city in Blair County, Pennsylvania. Pennsylvania officials said a deadly shooting in Altoona, Pennsylavia, left four people dead and two Pennsylvania State Troopers injured, CBS Pittsburgh reports. 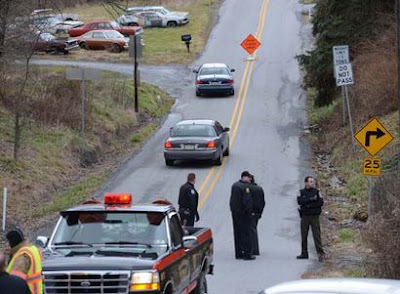 Blair County District Attorney Rich Consiglio says three people were shot Friday morning along a rural road in the Altoona-Hollidaysburg area of Frankstown Township, about 70 miles west of Harrisburg. Consiglio says two men and a woman were shot and killed and the suspected male gunman is also dead. The troopers were shot, but are expected to survive. They reportedly shot and killed the suspect. Apparently, the suspect was on a rural road in the Altoona area, shooting randomly. The woman was slain about 9 a.m. at Juniata Valley Gospel Church in Geeseytown, near Hollidaysburg, in central Pennsylvania, The Altoona Mirror says. The gunman fired through the church hall's windows, killing the woman as she and another woman decorated for a children's Christmas party, the Rev. James McCaulley told the Mirror. The second woman was not hurt. At a news conference, State Police Deputy Commissioner Lt. Col. George Bivens said the gunman then killed a man at a nearby residence. Fleeing, he later crashed head on into another car and shot the driver dead. Farther down the road, the gunman crashed head on into a trooper's car and began shooting when he got out. Three troopers returned fire, killing him, said state police spokeswoman Marla Finn. The recent rash of red dawn events has overlapped with the theatrical run of Red Dawn and the holiday shopping season, so Hollidaysburg is a synchromystically significant place name. You noted that Scrabble was developed by a Newtown resident. Interestingly, another traditional Christmas gift for children, Slinky, is manufactured in Hollidaysburg. Thanks to initial news tip from T.C. These are not the gifts children should be receiving this season.